As it's my birthday and I've deemed it Purple Week, I wanted to push the boundaries of WWW a little, and bring a purple into play. This I think is one of the colours you can get away with in a lot of workplaces because it looks so damn CLASSY. This is Nails Inc Lowndes Square, and if I could fall asleep in it, roll around in it and eat it, I probably would. It is the PERFECT grey lilac, just utterly utterly sublime, and goes on totally creamily and dreamily. More than anything, this is one of THE most perfect shades for my skin tone. It instantly makes me look classy and elegant and as if I should be wearing pearls !! 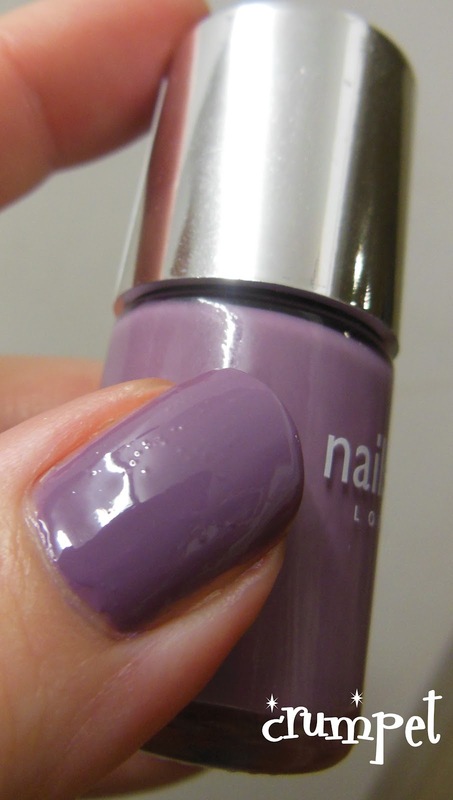 It's one of the nail shades I am ALWAYS attracted too, but I've resisted adding to this part of my stash for a while ... Lowndes Square just knocked me off my feet though. 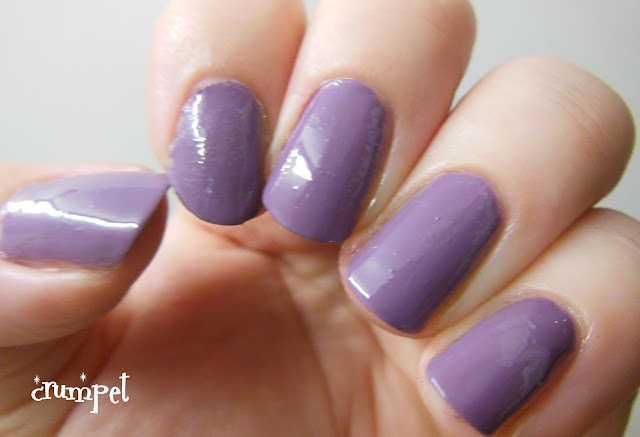 I know without a doubt that this is similar to a LOT of other lilac greys that I own, so I'll be doing a comparison soon. It is also a little more greige in real life - it's showing more purple here, but it's definitely not quite AS purple in real life. PS apologies for the nail wrap on the index and the lack of top coat - ssssssh, don't tell anyone!